Jalandhar (Punjab) [India], Jan 5 (ANI): In an absurd statement, Vice-Chancellor of Andhra University has said that Kauravas were born through stem cell research and test-tube technology. Raipur (Chhattisgarh) [India], Aug 11 (ANI): Bharatiya Janata Party (BJP) is working like Mahabharata's 'Kaurav Sena' in Chhattisgarh, said state Congress spokesperson Dhananjay Singh Thakur on Saturday. Lucknow (Uttar Pradesh) [India], Jun 1 (ANI): Following the footstep of Tripura Chief Minister Biplab Kumar Deb on linking modern inventions with ancient India, Uttar Pradesh Deputy Chief Minister Dinesh Sharma said the 'live telecast' began in the Mahabharata era. Agartala (Tripura) [India] May 1 (ANI) Tripura Chief Minister Biplab Deb has once again issued a controversial statement wherein he advocated that nails of those people should be chopped off who disturb public. Agartala (Tripura) [India], Apr. 18 (ANI): Tripura Governor Tathagata Roy on Wednesday backed Chief Minister Biplab Kumar Deb's claim that the Internet and satellites existed in the Mahabharata era. Agartala (Tripura) [India], Apr 18 (ANI): Tripura Chief Minister Biplab Kumar Deb on Wednesday reiterated his statement, where he claimed that internet and satellites existed since the Mahabharata era. 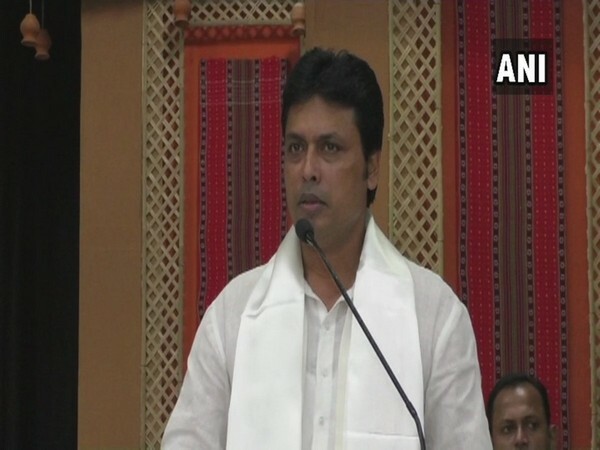 Agartala (Tripura) [India], April 18 (ANI): Tripura Chief Minister Biplab Kumar Deb claimed that internet and satellite are not something new but existed since the Mahabharata era. New Delhi [India], Mar. 18 (ANI): Coming down heavily on Prime Minister Narendra Modi-led National Democratic Alliance (NDA) government, Congress President Rahul Gandhi on Sunday compared the Bharatiya Janata Party (BJP) to the Kauravas. New Delhi [India], Feb. 21 (ANI): Union Railways Minister Piyush Goyal on Wednesday released two books, in Hindi version, of noted economist Bibek Debroy. New Delhi [India], Feb 17 (ANI): Iranian President Hassan Rouhani on Saturday gifted an animated version of Kalila wa Demna (Farsi translation of the Panchatantra) and a copy of the Mahabharata in Farsi to Prime Minister Narendra Modi. Udupi (Karnataka) [India], Jan 19 (ANI): In a veiled attack to the Karnataka government, Union Minister Anant Kumar Hegde said that the condition of the state is similar to time of Mahabharata.